To the east of Caen and inland from the sites of the D-Day landings is the tourist circuit known as La Route du Cidre – in English simply the Cider Trail. If you go in springtime the apple blossoms will be out and their sweetness will be heavy in the air as millions of bees busily get about their serious business among the orchards as you swoosh gently by in your rental car or bicycle. The Cider Trail is well posted – with big apples – as it wends its way through 40km of the picturesque countryside of a region known as the Pays d’Auge, famous for its orchards and half-timber cottages and turreted manors, and of course certain liquid refreshments. The trail runs through ancient villages including Beuvron en Auge – listed as one of France’s most beautiful hamlets, Bonnebosq and Beaufour-Druval known for its cemetery and ghostly caves worthy of a Scooby-Doo ghost town. As you meander along narrow country lanes more than 20 cider producers as well as distillers of calvados and pommeau will happily open their cellars and pressing sheds to you, encouraging you to taste their wares and perhaps buy a bottle or two to take home. Calvados is a powerful brandy made from apples or pears and is traditionally used by Normans to “clear the way” for more food in between courses of the rich and bountiful many-coursed banquets for which this fertile region is famous. If you’re after a place to stay near the cider trail, Karma Résidence Normande or Karma Manoir des Deux Amans are ideal. Nestled closely together, both resorts are cosy and tranquil and set among acres of garden just outside the village of Connelles. With views over the Seine, the resorts are close to the medieval town of Rouen, with its historic castles and cathedrals and you can strike out to places like Monet’s gardens at Giverny – the inspiration for his famous painting Water Lilies. 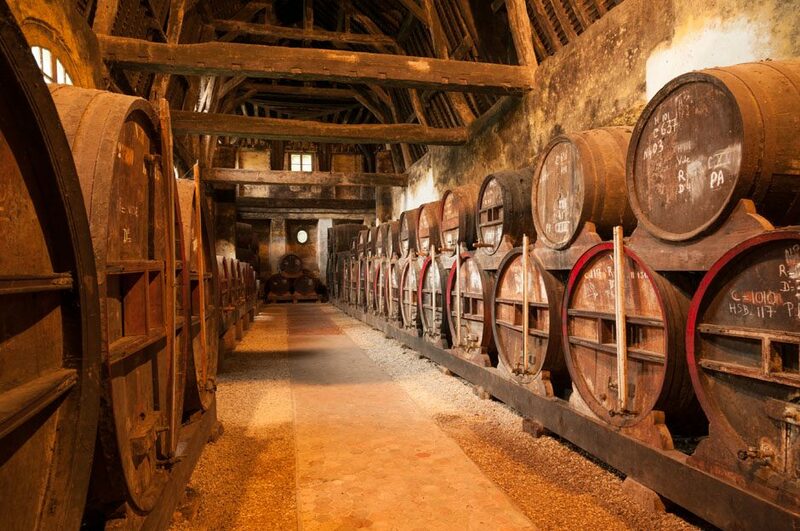 Cider, which has been around in the region since at least the 9th century, is made in much the same way as champagne. The apple juice is fermented twice; once in big timber barrels and then once more, after it is bottled and when the yeast really goes to work – which is also where the bubbles come from. The alcohol content is muted – around 3 to 5 per cent depending on whether it’s sweet (doux) or dry (brut). The two big calvados distilleries in the region are Huet and Dupont. The Cidre Dupont Reserve is famously aged for six months in oak barrels, which were used to store calvados, making for a more complex, but delicate cider. Meanwhile, you can also travel back in time around 1000 years at the medieval Château de Crèvecoeur-en-Auge, in-between Caen and Lisieux which every August hosts the Crèvecoeur medieval fair. This is a two-week event which includes falconry exhibitions, jousting and swordplay as well as simply watching and interacting with people as they recreate the day-to-day activities of medieval life.